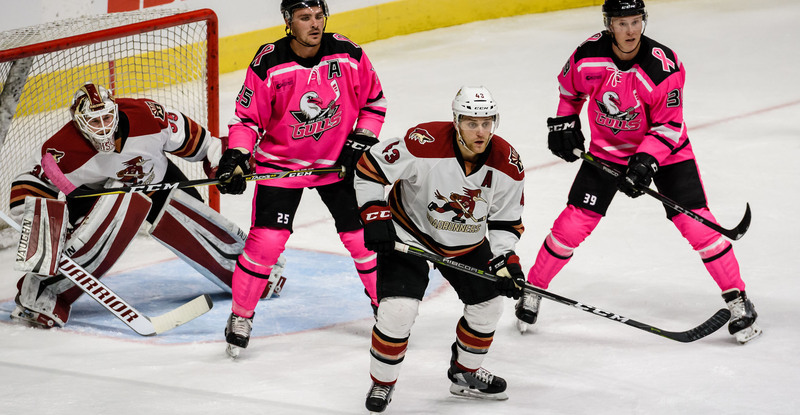 The Roadrunners fell to a sharp, rested San Diego Gulls club by a 4-1 score Saturday night at the Valley View Casino Center. It served as the team’s first road loss since January 12, and just their fourth in regulation in an opposing building this season. 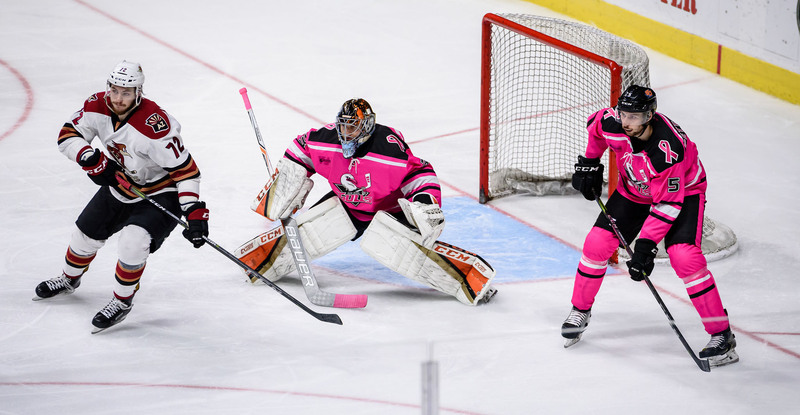 Hunter Miska, starting games in consecutive fashion for just the second time this year, held an active Gulls offense in check – stopping 32 of the 34 shots he faced during the night, keeping the Roadrunners well within striking distance until San Diego netted a pair of late empty-net goals. Mario Kempe gave the Roadrunners a 1-0 lead with 3:44 left to play in the first period when he batted a puck out of mid-air past San Diego’s Kevin Boyle, who couldn’t suffocate Conor Garland’s initial shot. Kempe’s goal, his eighth of the season, was his third in two games, upping his season point total to 20. Hunter Miska made 20 saves in the opening frame. The Gulls, on their 24th shot of the evening, finally got a puck past Miska, tying the game 1-1 with 11:54 to play in the second period when Kalle Kossila broke the seal for San Diego. With 3:24 left to play in the second, the Gulls took their first lead of the night in the form of an Andy Welinski power play goal, a lead they would not relinquish. San Diego scored two empty-net goals in the final 1:25 minutes of play to secure a 4-1 victory. With the loss, the Roadrunners now trail the Gulls in the battle for the I-8 Border Trophy by a 10-9 point count. Hunter Miska suffered his first defeat in his past eight decisions, and his first of such all season on the road. The Roadrunners will continue their road trip Monday night when they take on the San Jose Barracuda at the SAP Center, where the puck is scheduled to drop just after 8:00 PM MST.